Great Plains Conservation was founded in 2006 and boasts a collection of luxurious, eco-friendly lodges in Africa, including two of our featured properties: Mara Plains in Kenya and Zarafa in Botswana. A Relais & Châteaux member, the company proudly funds more than one million acres of land in Africa, with the goal of melding wildlife conservation, local community initiatives and eco-tourism. They provide unforgettable experiences for compassionate travellers who wish to enjoy an authentic safari holiday and the finest luxury whilst supporting the wildlife, communities and environments of this richly diverse continent. Elegant Resorts is delighted to have chosen one of Great Plains Conservation’s, non-profit, projects as its international charity partner for 2017. Rhinos Without Borders aims to rescue 100 rhinos from South Africa and relocate the endangered creatures to neighbouring Botswana, which boasts the best anti-poaching record in Africa. This incredible initiative is thanks, in no small part, to the efforts of Dereck and Beverly Joubert, Explorers-in-Residence for National Geographic. In the 1980s, Botswana lost every single one of its rhinos to poaching. Following an unsuccessful attempt to reintroduce the White Rhino they became extinct again in the 1990s. 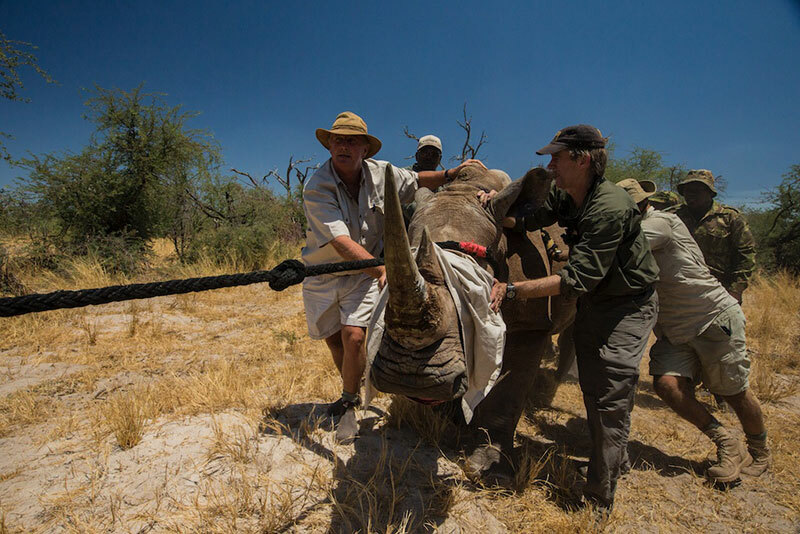 Sadly, it was Dereck and Beverly who found the last Black Rhino in Botswana, shot dead and with its horn removed. Incensed by the discovery, they called the then Head of the Army, General Ian Khama, to plead for help. General Khama (now President of Botswana) initially allocated just 30 soldiers to find the animal poachers, thereafter increasing the number to 800. The result: poaching has been virtually wiped out in Botswana and the country is now deemed safe enough for the reintroduction of rhinos, thanks to an official anti-poaching unit, zero tolerance approach and support from the country’s most senior politicians and the Botswana Army. 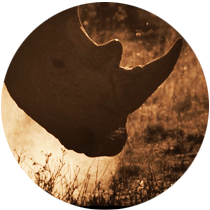 Rhinos Without Borders is committed to moving 100 rhinos away from the areas of high density that encourage poachers. Transferring the rhinos from South Africa, which is home to 80% of the world’s rhino population, to secret locations in Botswana (including national parks and wildlife concessions) secures rhino breeding diversity and places stock in a different, more secure, environment while allowing the animals to roam freely. 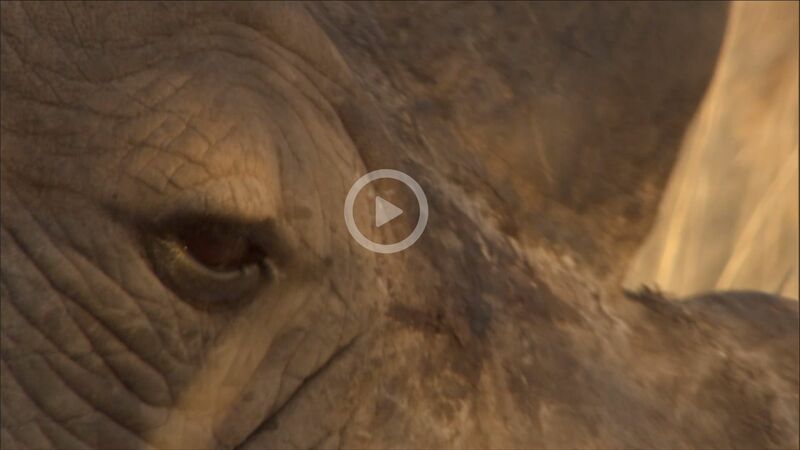 This, ultimately, stimulates the growth of the rhino population – but it comes at a cost. To finance the groundbreaking project in its entirety will amount to approximately $4.5 million and to relocate one rhino to the safety of Botswana costs $45,000, including expenses such as $2,740 in vets fees throughout the transit, $13,000 for armed security during the six-week quarantine period prior to translocation and $110,000 for a charter plane from South Africa to Botswana. Elegant Resorts feels an increasing responsibility to promote eco-conscious travel to our discerning clientele and feature sustainable destinations, so that these breathtaking locations and their natural bounty are there for future generations to enjoy. We wholeheartedly believe in our partnership with Great Plains Conservation and are very proud to support this worthwhile cause throughout 2017. To find out how you can make a difference, or to book an authentic safari experience to Kenya and Botswana at one or both of Great Plains Conservation’s gorgeous luxury camps, please contact our Africa Travel Consultants on 01244 897 111.